This stall was awarded a Bib Gourmand distinction in the MICHELIN Guide Singapore 2018. The owners are a Cantonese couple originated from Hong Kong. The awareness of healthy eating has brought forth the demand for such healthy soups and that was further proven by the long queue in front of the stall waiting for it to be ready at 12 pm. 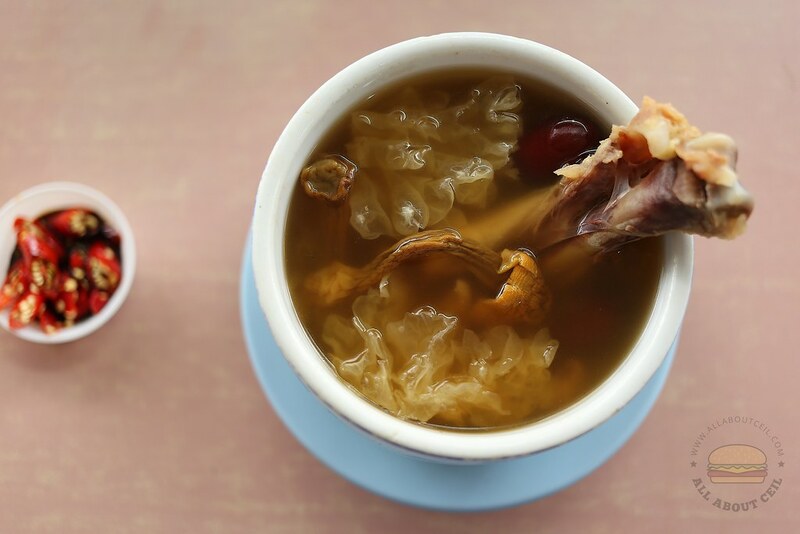 The menu only consists of 6 types of soups : Spareribs Soup with Lotus Root ($3.50), Spareribs Soup with Winter Melon ($3.50), Brazilian Mushroom Soup with Snow Fungus ($4.50), Spareribs Soup with Mushroom ($3.50), Cordyceps Flower Soup with Chicken ($4.50) and Night-blooming Cereus Spareribs Soup ($3.50). There are also Steamed Pork Ribs ($3.50) and Pumpkin Steamed Minced Meat ($3.00) as a side order, rice is $0.50 per serving. 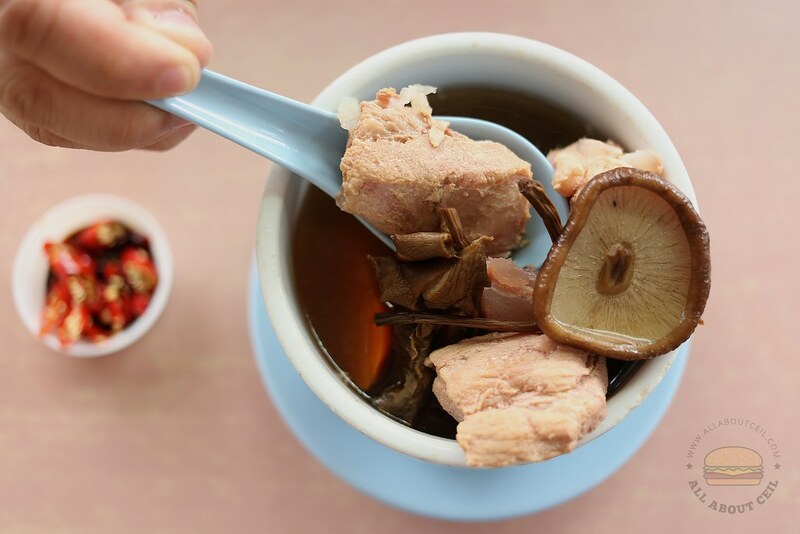 The soups are made from scratch with no MSG together with specially selected ingredients that have different health benefits like replenishing nutrients, acting as a detox cleanser or removing the effects of humidity. I joined in and waited for about 15 minutes to order Brazillian Mushroom Soup with Snow Fungus and Spareribs Soup with Mushroom together with a bowl of rice. 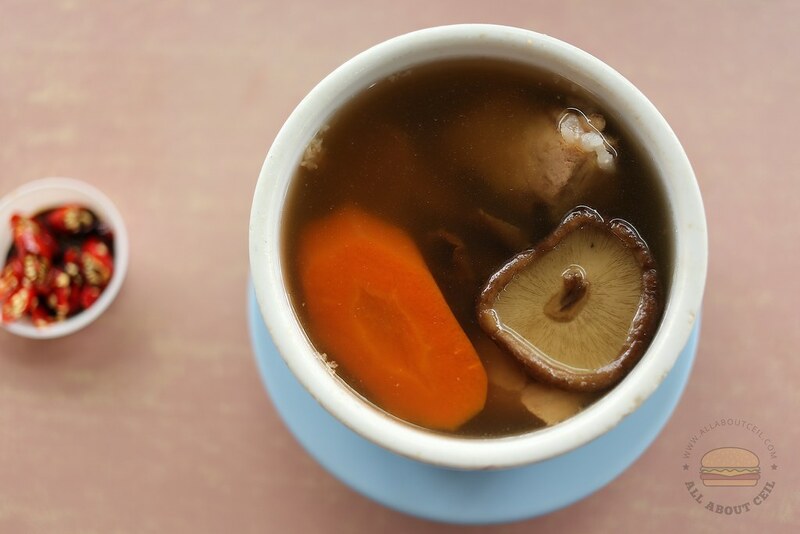 Spareribs Soup with Mushroom was light but full of ingredients like different types of mushroom, carrot chunks and spareribs. The texture of the spareribs was so tender. My dining companion said, "There is a strong yet refreshing mushroom flavor." The Brazillian Mushroom Soup with Snow Fungus is supposed to be good for the ladies and it is also good for the skin too. 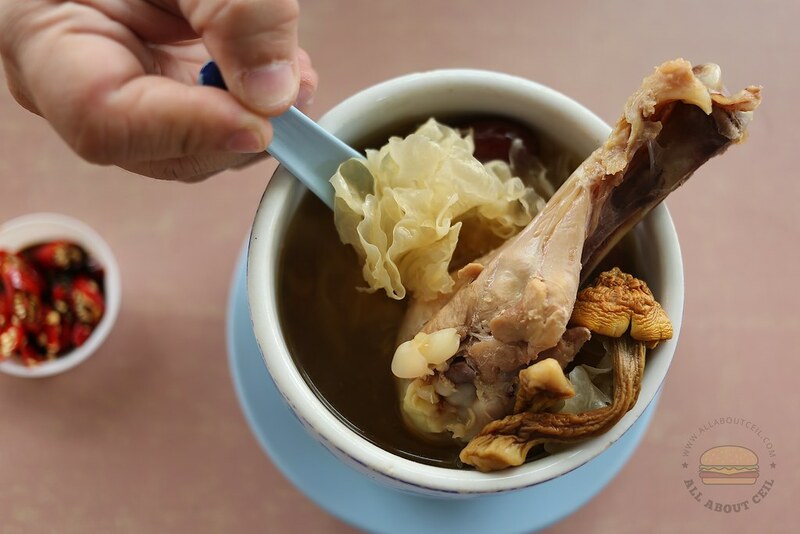 There was a chicken drumstick with Brazillian cap mushroom, white fungus, red date added to the soup. The soup tasted healthy and lightly flavored but the chicken drumstick was not soft enough yet. My dining companion said, "Their soups are different from the other stalls. 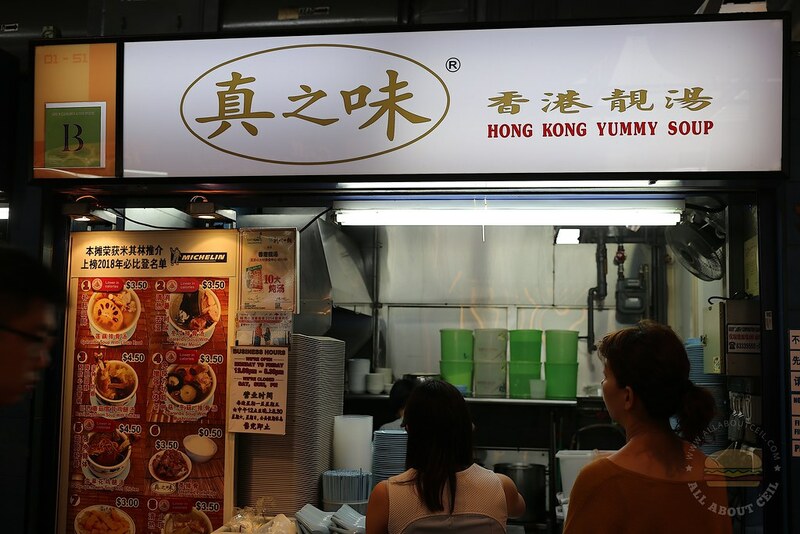 They are one of the hawker stalls that are worthy of the Bib Gourmand distinction."